Whether you're furnishing a small office at home or a bullpen, exact planning is a must. Home offices have to meet the same ergonomic requirements as company offices. Efficient work not only relies on good organization and filing skills but starts early in the planning stage. What is the ideal layout for your office? How do furniture, lighting conditions and technical appliances best harmonize with each other as part of a productive office concept? In a time where the boundaries between working and living are blurring, a perfect, wholesome working environment is essential because an eventful workspace with not only adequate but appealing furniture will contribute to better wellness, creativity and inspiration. Create the perfect, ergonomic office concept for increased vitality in your job with the help of detailed planning. 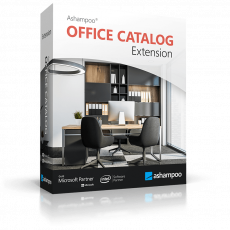 The Ashampoo Office Catalog Extension offers an appropriate selection of ergonomic, this means “healthy”, office furniture as 3D objects. This way the working and living space “office” can be planned in the best possible way. The 3D objects include for example ergonomic anthropometric desks, flexible conference tables, roll containers, modular office cabinets etc. The central starting point for an optimal office planning is ergonomics. Besides ergonomically designed office furniture, ergonomics includes an optimal lighting concept, a good indoor climate and also the choice of colors. Careful planning enables an efficient office concept in order to create a psychologically “eventful world of work”. 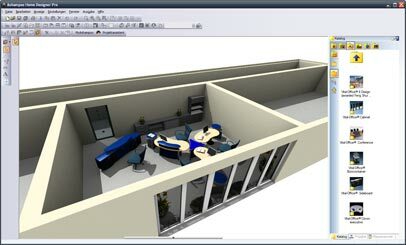 Combined with the professional CAD and construction software Ashampoo Home Designer Pro, Ashampoo 3D CAD Architecture or Ashampoo 3D CAD Professional you can implement your ideas of a perfect office with the Ashampoo Office Catalog Extension - quick, easy and realistic with 3D objects. 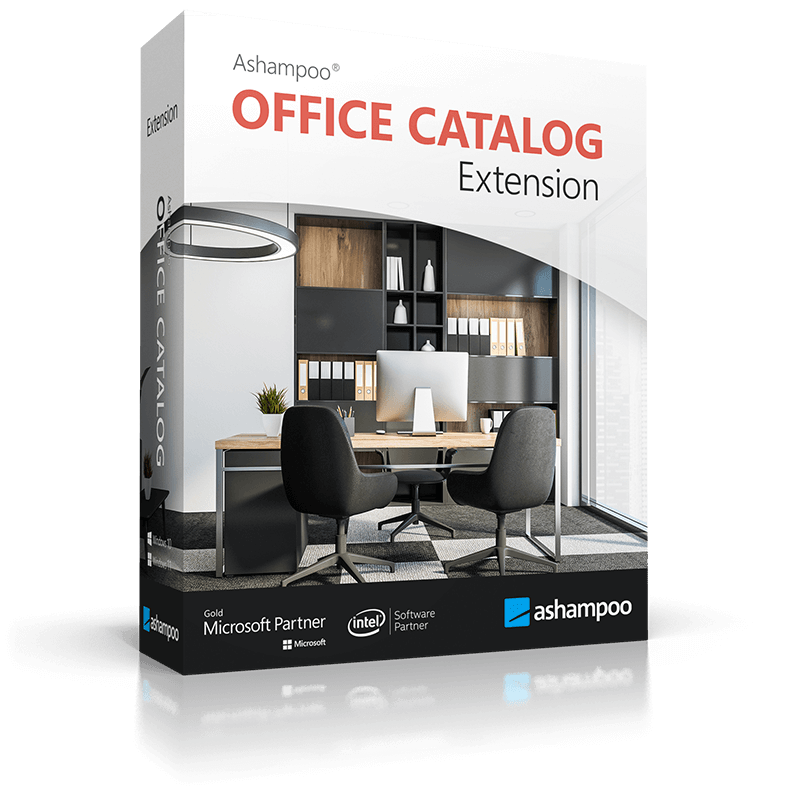 The Ashampoo Office Catalog Extension includes 500 ergonomic pieces of office furniture. Among these are height-adjustable desks to sit or stand while working, conference tables and systems, office cabinets on castors, reception modules as well as system cabinets with shelves, double door cupboards and cupboards with blinds and cabinets with sliding doors. All included 3D objects exist in reality and are products by the Vital-Office GmbH in Straubenhardt. These objects enable a detailed realistic planning of varied workplace and room concepts. They all meet the ergonomic demands of optimized office architecture. 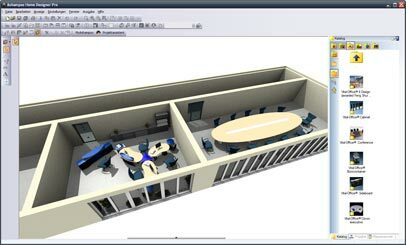 Ashampoo® Office Catalog Extension and Ashampoo® Kitchen Catalog Extension require either Ashampoo® 3D CAD Architecture (version 5 or higher) or Ashampoo® 3D CAD Professional (version 5 or higher) to work.